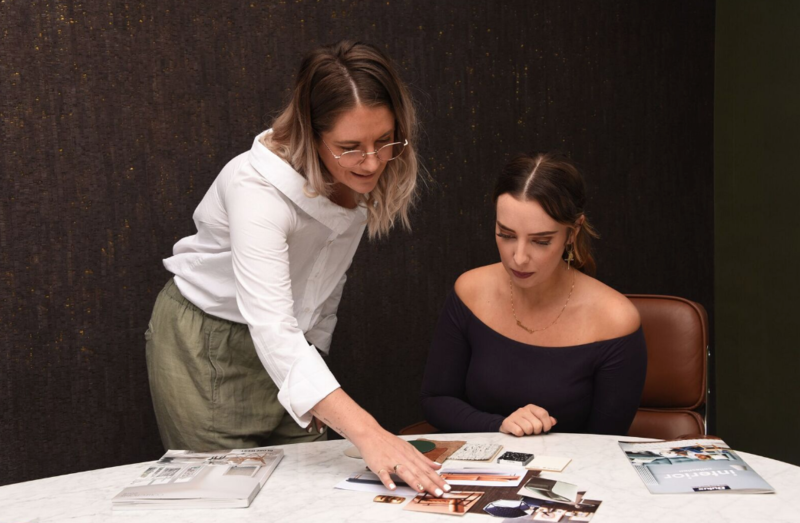 PIP+COOP Love The interior Styling process, we believe in working very closely and collaboratively with you and guide you through a clear set of stages, from the initial consultation through to final set up of your home. PIP+COOP clients also have access to our exclusive Trade accounts. Saving up to 45% of RRP. With AIR BNB becoming a huge movement here in Melbourne and all around the world we are seeing a rise in investment opportunities of my clients purchasing properties and renting them out on AIR BNB making a huge return each week on the platform. Having being in the style for sale industry for so many years I know that the styling of a home can drastically change the outcome on Auction or sale day, much like this the first impressions on the air BNB site really does make the decision for the guest on the other end. Statistics have shown that a styled AIR BNB is 90% more likely to fill the listing over the properties that are not currently styled and is much more likely to get a higher return per night than a listing similar close by. I also have an air BNB listing myself and know first hand how the platform works and how to get the most back on your investment property. At PIP+COOP we aim to target the demographic in your investment property area and style the property to create an inviting and interesting space that stands out from the rest! It may be a full fit out of a property or just some small pieces to completely change the look and feel of the place. We would love to help you get up there on the TOP listings of AIR BNB and well on your way to having a fully booked out listing. Because we know that first impressions matter. PIP+COOP work closely with architects and other media sources on projects that are styled for editorial purposes. This includes Photo shoots for magazine or architects looking to enter their projects into editorials or awards on completion of the project. PIP+COOP also covering set styling for various video or content shoots for media coverage. Understanding the brief along with the photography and video crew and working closely with the client to create the best content. Always with the target market in mind to attract the widest media coverage. Transforming spaces for 1 to 2 day shoots for content that will last a lifetime. PIP+COOP would love to work with you on the next project. Having been in the furniture/homewares and styling industry for many years now with a wealth of knowledge in the industry Cassie can tailor hands on workshops and educational talks to engage your audience with a personal and business style, along with light-hearted stories gained from her 6+ years in the Styling Industry. From corporate events like the Flooring Xtra 2017 conference to small educational guest speaker spots at Design colleges throughout Australia. She loves creating fun, educational events where the audience will take from and be able to apply in their life wether it be to future jobs or clients. Intimate and exclusive interior styling workshops hosted by PIP+COOP director Cassie. In these workshops Cassie shares industry secrets and advice from her 6+ Years in the Field. Melbourne based interior styling company. Styling for sale, AirBnB, Editorial shoots and more. Interior Businesses to Follow in 2019!